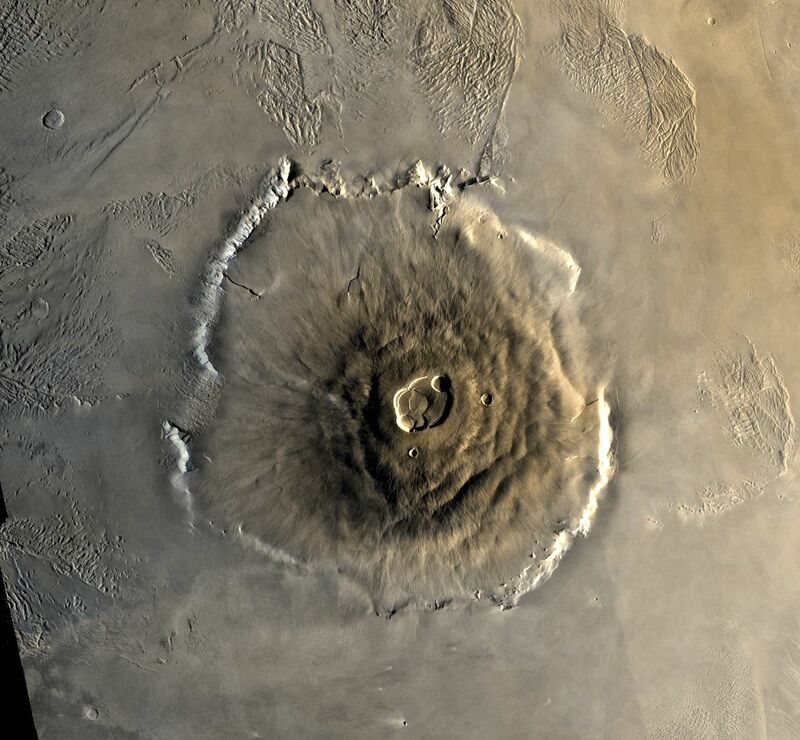 Today's Mars photo is of Olympus Mons, the tallest known mountain and volcano in the solar system. At an estimated height of anywhere between 21-29 km, Olympus Mons is about three times as tall as Mount Everest. The whole mountain covers an area that is approximately the size of Arizona.